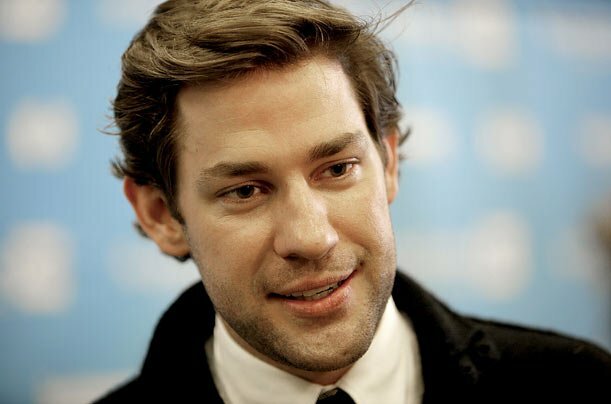 Following the exciting casting of David Oyelowo (Selma) and Gugu Mbatha-Raw (Belle), the upcoming science fiction thriller God Particle looks to be expanding its roster of talent – with news that John Krasinski is now in talks to co-star. The film, which has been in development for a number of years, will now head into production as a Bad Robot project. With J.J. Abrams producing, God Particle is directed by Julius Onah – whose feature film debut, The Girl Is In Trouble, was released last year. He will take the helm armed with a script by Oren Uziel (22 Jump Street), which is set in the near future, in space. God Particle will apparently be the first high-profile film project to use the famous Hadron collider as a plot device, with the implication being that this group of astronauts are stranded in space when the Earth suddenly disappears. As a movie premise, this is utterly brilliant – creating, as it does, an instantly claustrophobic and gripping drama that contains a great many themes, encompassing everything from science, to philosophy, to religion. In addition – despite being a space thriller, this has all the hallmarks of a relatively low budget endeavour. The setting and situation will require only a small cast, and the film will presumably fit in well with the unusual and thrifty marketing strategies of Bad Robot. It is the association with Bad Robot that is driving the speculation regarding God Particle, though. The project has been around for a while, but with 10 Cloverfield Lane having been well-received, the rumour mill has kicked into overdrive – suggesting that God Particle may now be intended to form a part of that same cinematic universe, connecting 10 Cloverfield Lane with its 2008 namesake, Cloverfield. There are lots of clues in the most recent viral marketing campaigns that can be interpreted as supporting this speculation, but it seems as though J.J Abrams is currently playing his cards very close to his chest. The truth will be revealed soon enough, however, as God Particle already has a release date – arriving in theatres on February 24th 2017.